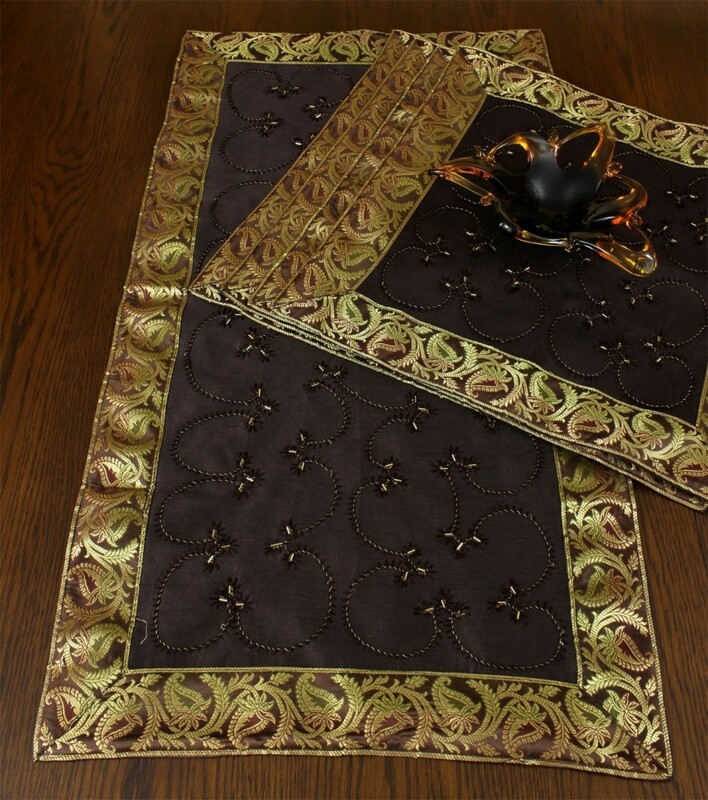 Decorate your night tables, dressers, and entertainment stands with the beautiful hand embroidered 5-piece placemat and table runner set from Banarsi Designs. 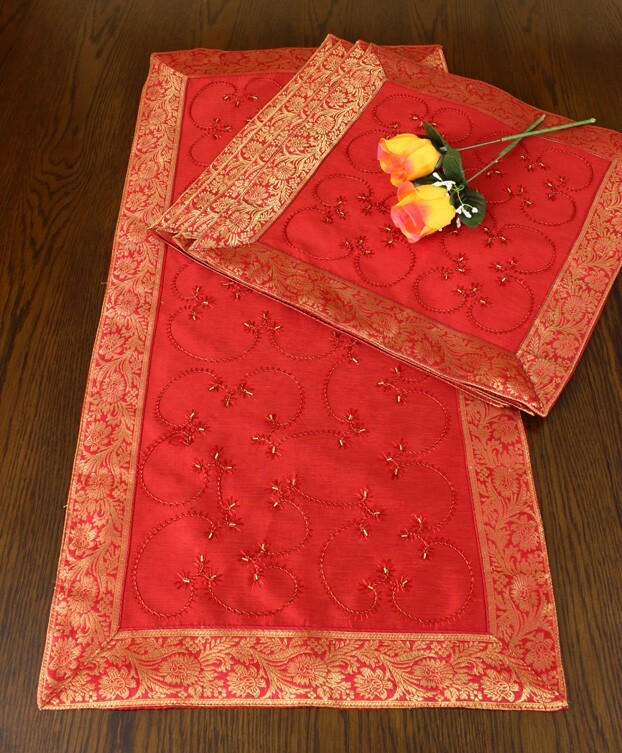 This unique placemat and table runner set has been embroidered by hand in India using delicate beads over shimmering dupion satin fabric, embellished with the Saree border. 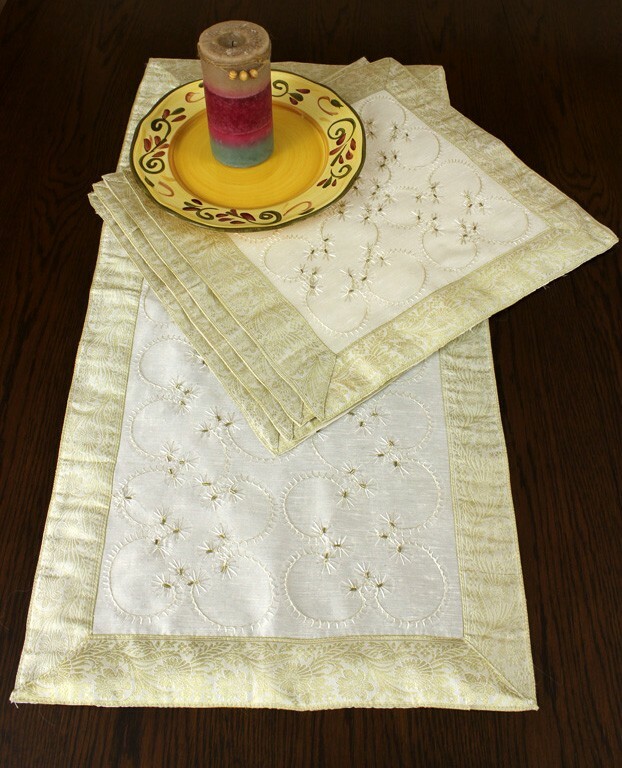 It includes four square placemats (16" x 16" inches each) and one small matching table runner (32" x 16" inches). These gorgeous placemats will embellish your night tables and also provide protection to your furnishings. 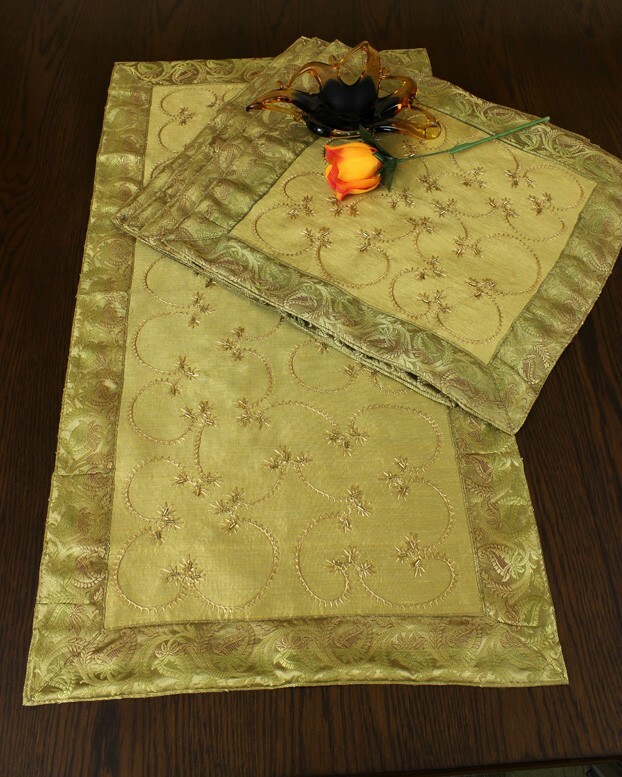 This set is also perfect for decorating your tables for a special event or party and is also a wonderful gift idea.